Shakespeare's romantic comedy, The Winter's Tale is no lightweight affair; it explores the darker themes of rage, jealousy, treason, and death. Yet though initially an intense psychological drama, as the play unfolds it takes on a lighter and more comedic tone, which eventually gives way to a happy ending. In short, there is something for everyone. What was once a day's entertainment for the groundlings and the gentry is now the perfect diversion for that long commute. 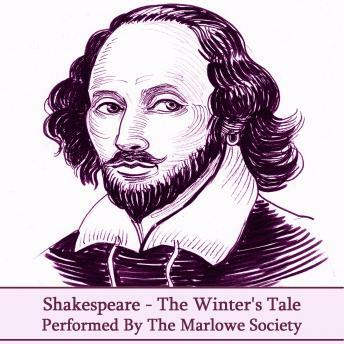 The renowned Marlowe Dramatic Society provide this faithful audio version that has won the approval of scholars and Shakespeare lovers alike.